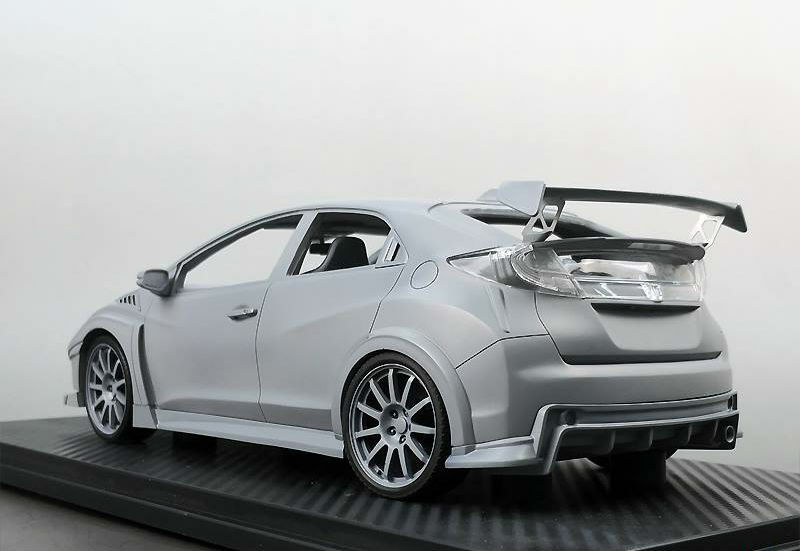 The latest from One Model is the 1:18, resin Honda FK2 Mugen. 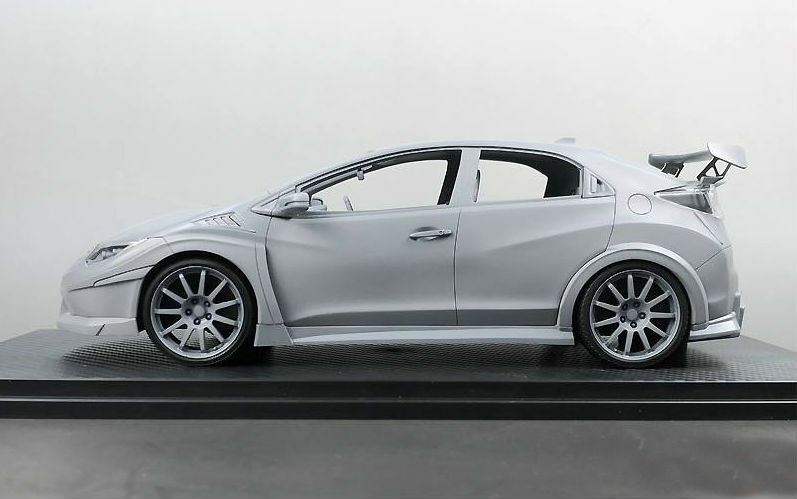 Featuring the hatchback version of the Civic this sport tuner car from Mugen comes to life. 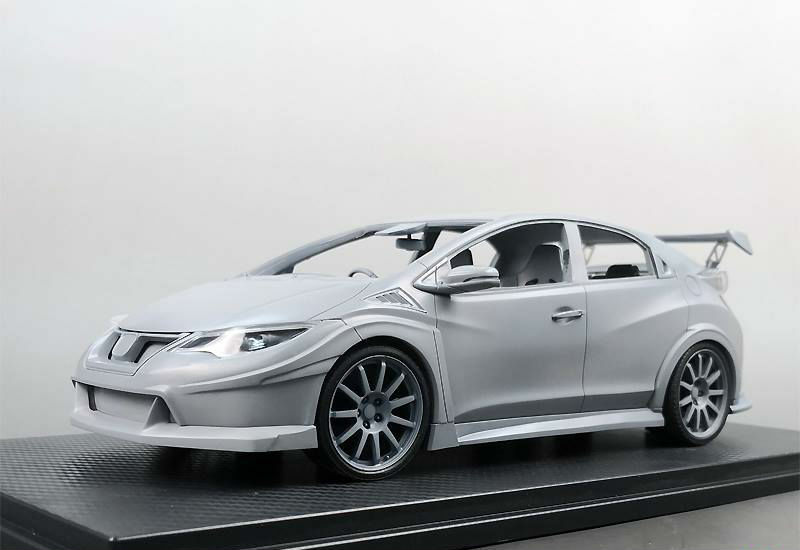 Images show the model in early grey-wear form. We have no official word on colour palette or delivery date at this time.